Experts of Methodical analytical center gathered on 19 – 20th July 2018 in beautiful Gražutė regional park to improve their practical skills in working with geographical information systems (GIS) while carrying out the inventory of protected species and habitats as well as determining conservation objectives for sites of Community interest. 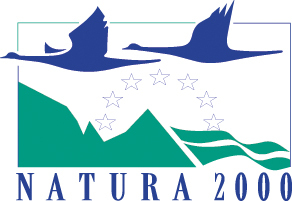 Please meet the natural values of this Natura 2000 site! Newly formed Natura 2000 Methodical analytical center in Lithuania pooled best conservation experts who carried out their first mission on 15-16th May 2018 by inventorying insufficiently known species of Community interest and aiming to determine Natura 2000 conservation objectives in the sites of Community importance and still not protected areas in Anykščiai and Rokiškis districts. Particular attention was paid to Juodymas bog located near the border with Latvia (Rokiškis district). The main purpose of the mission was to evaluate the prevalence, relative abundance and potentially suitable habitats in the bog of Baltic Grayling (Oeneis jutta), a relic species of butterfly included in the list of strictly protected species in the country. On 19th May first nature festival in Aukštaitija national park took place. The event “Whitsunday in the middle of lakes” (Sekminės vidur ežerų) fascinated its visitors with traditional ethnographical activities: open-air masses, traditional music concert, 200 egg pod (paucienė). Visitors were also invited to feel unique experiences in nature: birch stories, coronation of Meironian cows, boat trips on a historic cow rafting routes, night bat watching, morning hike. One unforgettable night in nature, Dzūkija stories from locals in the light of fire, amazing nature morning concert, trumpeting cranes, special activities for families and little nature explorers, personal experiences in nature and all the local goods of Dzūkija. The project “Optimizing the management of Natura 2000 network in Lithuania” (LIFE IP PAF-NATURALIT), No. LIFE16 IPE/LT/016 is financed by the EU LIFE Programme and the Republic of Lithuania. Webpage authors take full responsibility for the content of this website. It does not necessarily reflect the opinion of European Commission.